Ettumanoor Mahadeva Temple, located in Kottayam district, is famous for its unique festival of Ezhara Ponnana. 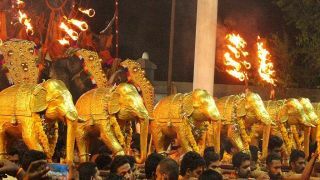 Celebrated in the Malayalam month of Kumbham (February – March), one of the elegant sights associated with this temple festival is the 'Ezhara Ponnana' procession (carrying golden elephant statues). 'Ezhara' means seven-and-half and 'Ponnana' means golden elephant. Each of the seven elephants is two feet high and the eighth one is of one foot only. Hence they are together called seven-and-half elephants. 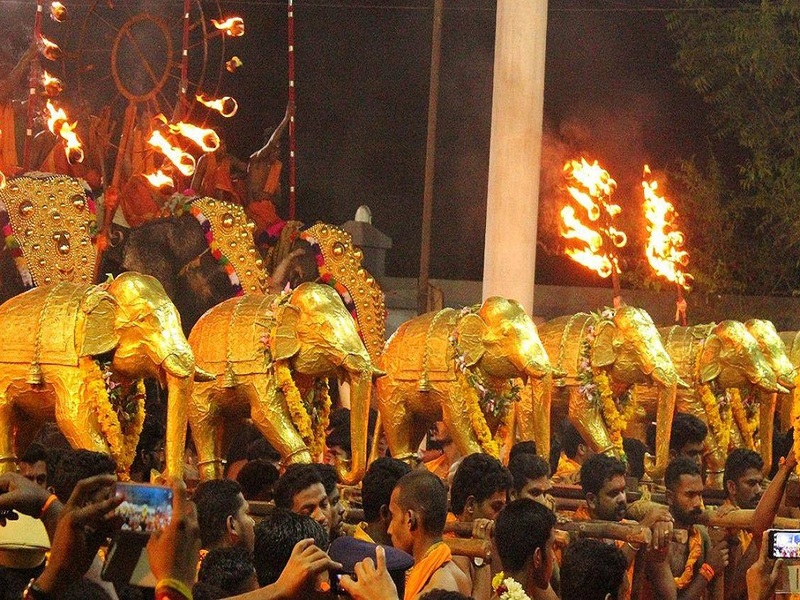 It is on the night of the eighth-day devotees can witness the procession of these golden elephants. The arattu ceremony is held on the tenth day on Thiruvathira asterism. These elephants, made out of wood and covered with gold, were offered to the deity by the then ruler of Travancore, Anizham Thirunal Marthanda Varma. The Thiruvathira festival in the Malayalam month of Dhanu and Shivarathri is also celebrated in this temple.